Alfie Boe has just finished the major part of his Bring Him Home Tour and is now about to join a star-studded line-up to celebrate The Queen's 60 years on the throne. 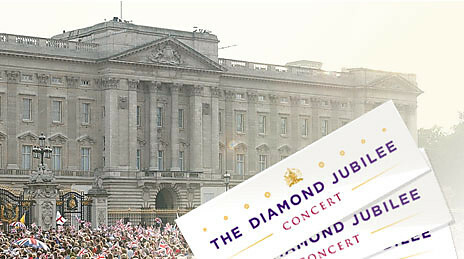 Sir Paul McCartney, Sir Elton John, Sir Cliff Richard, Sir Tom Jones, Dame Shirley Bassey, Annie Lennox, Madness and Jools Holland will appear at the Diamond Jubilee concert, with more contemporary acts like Jessie J, Alfie Boe, JLS, Ed Sheeran and Chinese concert pianist Lang Lang. The concert takes place on 4th June on a specially designed stage in front of Buckingham Palace near the Queen Victoria Memorial and will be broadcast live on BBC One and to millions around the world. A national ballot will distribute free tickets to 10,000 UK residents, which can be applied for online or by post until March 2nd. Ticket holders will also get the chance to attend a Jubilee picnic in the gardens of Buckingham Palace. Details of how to apply for tickets here.